When I was little, I was fascinated by a picture in one of my many books on prehistoric life which showed early humans worshipping a bear skull. That's probably what made the scene of primitive religion in Neil Gaiman's American Gods stick in my mind, many years later. So, when the second [adjective][species] poetry collection called for poems involving animals and religion or spirituality, this is what came out. From these things, you made a god. From nothing, you made the idea of god. You named me as you name your children. as you store meat in your clay pots. I am dead things. Empty space. And power. What do we make next? We must have had the same book. 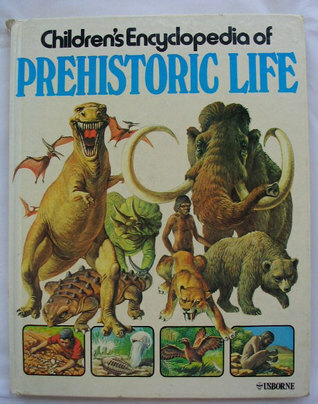 The Usborne book of prehistoric life? I think that was it! Did it also have the rather horrifying picture of a creature struggling in the Utah tar pits, captioned 'a fossil of the future'? YES! Golly, that's a blast from the past. Excellent! Good to know an interest in prehistoric life is still being encouraged!